Police has narrated its own known story! Same format, which describes, -Acting on a tip-off .... Sensing police presence...they Opened fire ... which Triggered Gunfight .... and after one hour ... Police found the dead body. Like as usual, the Police has narrated its own known story! Same format, which describes, -Acting on a tip-off .... Sensing police presence... They opened fire ... Which triggered 'Gunfight' .... and after one hour ... Police found the dead body. 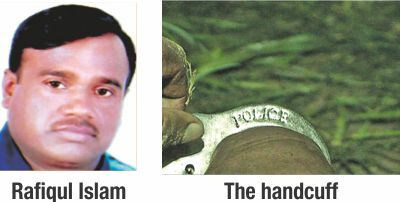 Acting on a tip-off, two teams of police raided the backyard of Hidimpur Govt Primary School around 2:15am, said Chokdar Abdul Halim, assistant superintendent of police. The outlaws were holding a secret meeting there, he said. "Sensing police presence, the gang opened fire and blasted two bombs triggering an hour-long gunfight with the police," the ASP said. Police found the body of Enamul on the spot after the outlaws fled the scene. 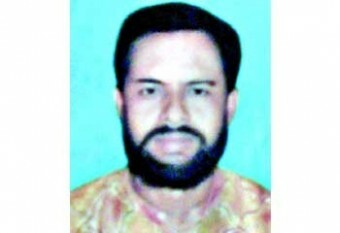 Enamul was son of Rafiz Mondol of Musainagar in the upazila. The teams recovered a rifle, a light gun, four bombs and eight bullets from the spot. The body was sent to Kushtia General Hospital morgue for an autopsy. The story told by police finish here! It could be noted that this is the third report in this year 2013 against RAB -6. Police recovered the handcuffed body of a BNP leader from Kushtia on January 5, Saturday night, around three hours after he was allegedly picked up by Rab members from Jhenidah. Corporation, reports our Kushtia correspondent. 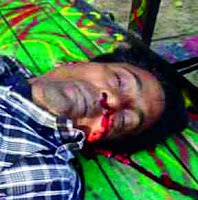 He was also vice-president of Bangabazar Super Market in Dhaka and a resident of Shanir Akhara in the capital. On January 25, Friday evening Mohammad Ali Mohabbat was kidnapped by Rapid Action Battalion. Ali Mohabbat 45 is from Kumarkhali Kushtia. Ali is the campaigning secretary of Jatio Somaztantrik Dall (JSD) in Kumarkhali upazila, Kushtia. Experts says, Cleansing opposition leaders, activists and protesters by Rapid Action Battalion (RAB) has started again in its full suing just before the Parliamentary election in coming year in Bangladesh. Force Disappearance, Cross Fire, Shootout, Gun fight and Encounters are the forms of these Extra Judicial Killings by this Paramilitary force Rapid Action Battalion (RAB).